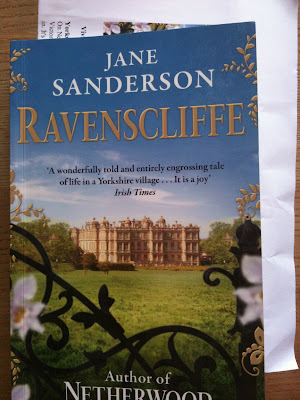 Lovely things in the post this week! Just this morning I received my batch of notecards and postcards from Rosie Anthony. I've loved the nature photos on her blog for ages, and I was so pleased to hear she was going into the card-making business, I put an order in at once. Look at this lovely set I got in the post! And then there were the inevitable Amazon parcels - which brought me the new Carlos Ruiz Zafon, 'The Prisoner of Heaven', which is the next part of his sequence of novels to do with that strange book depository in Barcelona. 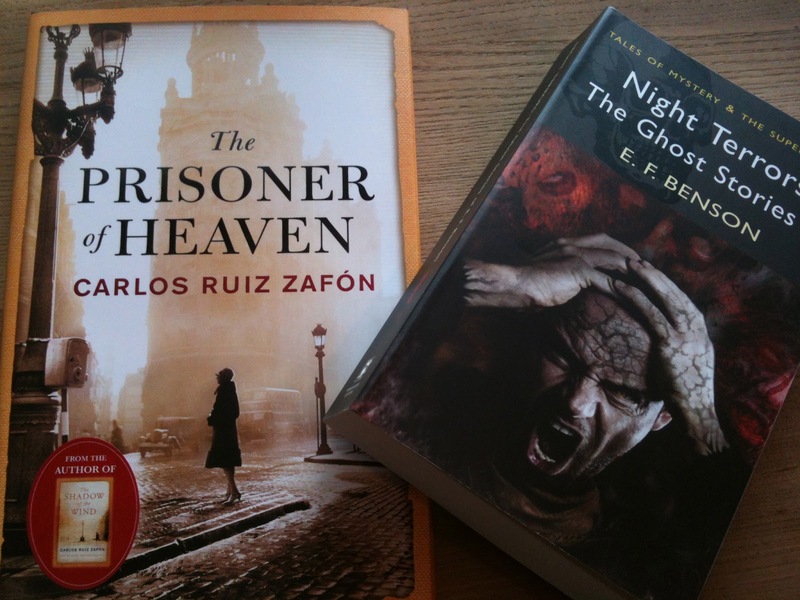 He writes what I'd called spooky - mystery - literary - pulp and I look forward to each of his books hugely. It might be what I get on with next, actually. Also came the new Wordsworth Classics edition of E.F Benson's Spooky Stories, which have long been hard to get hold of. It's a mammoth, closely-printed tome - very welcome at the amazing price of £1.99 - but let down by that hideous, rotten cover. Even Benson's ghostly tales have the same period elegance of his Mapp and Lucias, I think, and the cover should give that away. 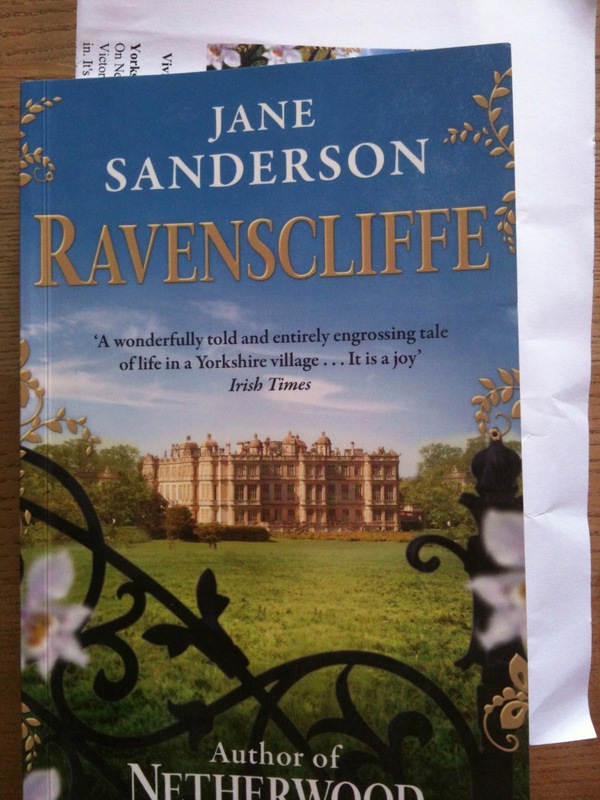 And then, also this week, I got sent a most welcome proof copy of Jane Sanderson's sequel to 'Netherwood', 'Ravenscliffe.' It's a chunky and enticing volume. Readers of this and my previous blog might remember me raving about 'Netherwood' earlier this year? (I should dig out and repost my review, actually.) I'm looking forward to going back into that Edwardian world. So here we are on Saturday morning - and it's teeming down in Manchester. The milkman's been for his money and told us how his sixty (!) frogs are doing in his back garden pond, and asked after ours (we have one over-confident frog and about a million tadpoles). Fester the cat is have a late lie-in and feeling a bit sickly this morning - which might be down to the high (low?) pressure in the air, or maybe from staying up late to watch Bowie Night on BBC4. 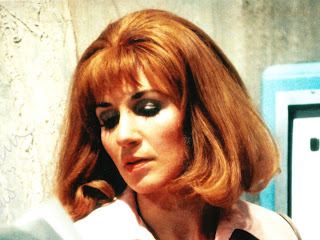 And we've got 'Doctor Who and Silurians' on the telly, in tribute and to remind us of the wit and brilliance of Dr Elizabeth Shaw, as played by Caroline John, whose death was reported this week. Whitby Event for Brenda 6!